Short film Brothers takes a humorous look at the modern difficulty of communication between family members. Director Larry Cohen joins us to discuss, keeping the role of technology realistic on screen and how he’s adapted the Kickstarter crowd funding model to enable his campaigns to offer ‘creative equity’ for project backers. 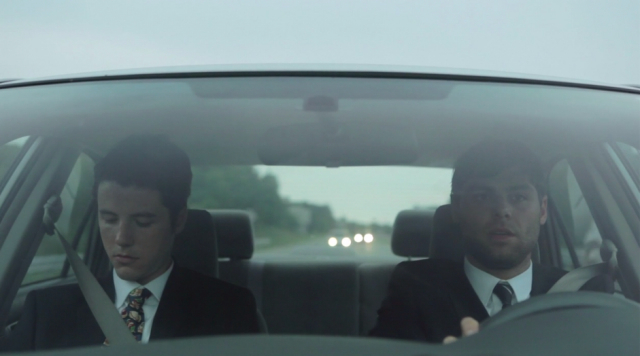 Two brothers embark on a road trip home for their grandmother’s funeral. But on a highway rest stop, David Stern finds out no one’s told his younger brother Andy they’re not headed home for Grandma Vern’s birthday anymore. Now David must confront his mother and bear the bad news to Andy, as only brothers can. We’re really trying to get donors & not dollars in the sense that we want a large engaged audience.